The Medivac is one of the three starter air tanks and has a skill combination between damage dealing and support. His ‘Life Converter’/Healing and the ultimate ‘Support System’, which protects himself and allied tanks temporarily against enemy weapon damage, make it a viable defensive and supportive tank. 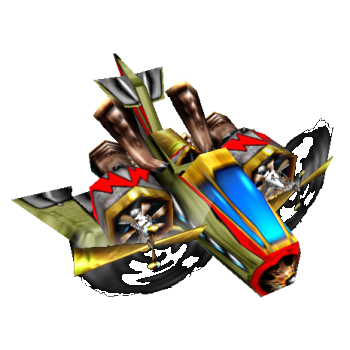 ‘Superthrust’ helps to keep up in farm, while increasing the movement speed and is especially important in early side lane skirmishes. Accelerates with a sudden outburst by 25 % for 8 seconds. Also launches an image the way the tank is facing, which deals damage to all near enemied tanks upon impact. Absorbs a part of all targeted creeps max hitpoints and transfers these hitpoints completely to all allied tanks in 700 range. Fully absorbs allied Decoy Flares. When killing an enemy. there is a certain chance to create a stationary flare to distract enemy fire. Makes every allied tank in range and yourself immune against enemy weapons. Additionally increases your mana permanently.